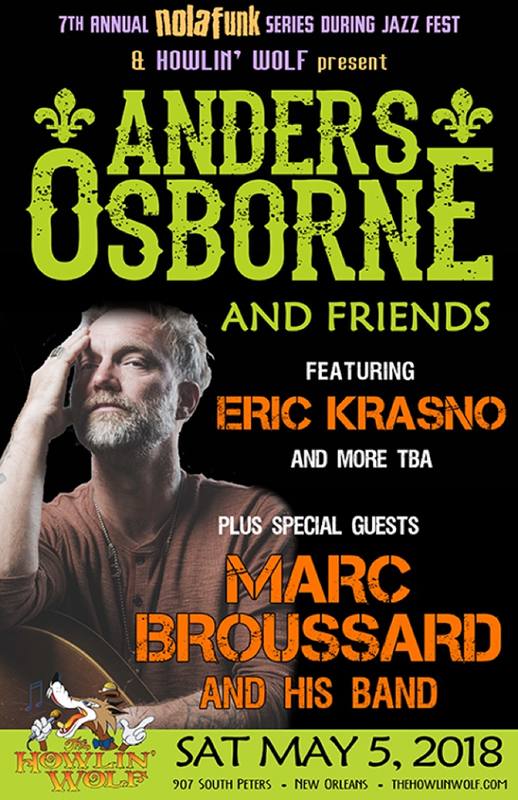 Guitar legends, Anders Osborn and Eric Krasno, join forces to bring a special treat to the Howlin Wolf . Marc Broussard is an American singer-songwriter. His style is best described as “Bayou Soul”, a mix of funk, blues, R&B, rock, and pop, matched with distinct Southern roots.